This is a unique GeoDataVision service that allows banks to use sophisticated mapping technology to analyze their markets. No mapping skills are required for you to take advantage of this service. GeoDataVision employs GoTo Meeting's ™ service to create live interactive meetings during which a GeoDataVision professional manipulates live maps containing important market data that allow you to see your markets like never before. Having “active” maps offers exciting analytical options. 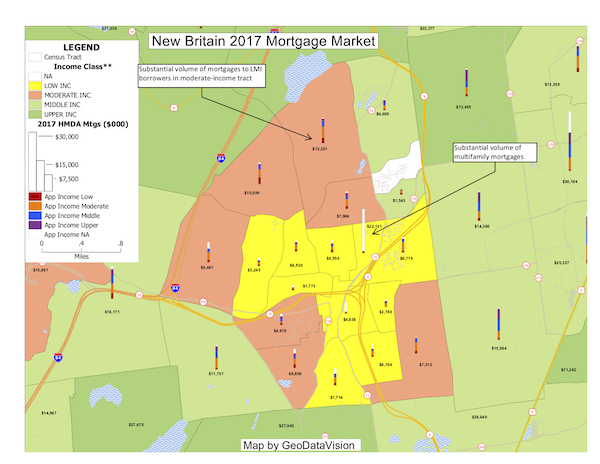 Factors such as income demographics, minority population, mortgage market and small business loan market activity, "drive-time" analysis, and much more, can be viewed, manipulated, and captured in file maps for use by the bank in hard copy printouts.